The following are some of the comments made by our lovely campers following their West Sussex stay at The Secret Campsite Wild Boar Wood (formerly known as Eco Camp UK). 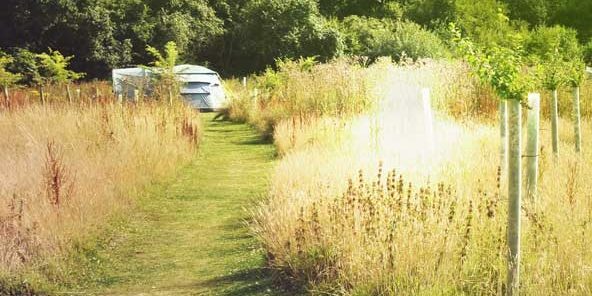 If you like what you read we hope you will come and join us on a Mid Sussex camping adventure soon – even if you are not an experienced camper you will enjoy our ‘wild glamping’ form of camping! If you would like to share your experience, please email us. Or you can leave a review via Google, Cool Camping or TripAdvisor. 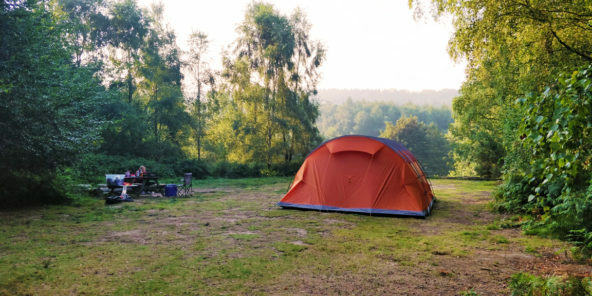 Click on these links if you would like to read what our campers are saying about The Secret Campsite Beech Estate or The Secret Campsite Lewes. Thank you for such a lovely weekend, could not fault it, 10 out of 10! Would just like to say thankyou for having us over the last 2 days. It was one of the best experiences of our lives! Your site is so well maintained by your wonderful wardens, who were also so very helpful. It has given us a renewed respect for our natural surroundings. We spent a fantastic week at Wild Boar Wood and had a amazing time. The wardens Luke and Kelly were very helpful and offered great support and information. They tolerated and answered the children’s many questions! The children (8 yr old twins) were away in the woods building dens, climbing trees and getting mucky. They made fairy villages (guided by Kelly). The children organised a communal campfire with all the children from the other bell tents and picked blackberries and are already asking when we can return. The steam railway was closer than we imagined it would be and the children got excited every time the train went past. To anyone who books a holiday here, spend at least a day at the campsite letting the kids play, and get a taste of the childhood of the past. There are very few places the children can play independently in the woods, building dens and getting mucky, returning when they are hungry!!! We had a great time at wild boar. The facilities were great and our children particularly loved the wishing tree, rope swing and the hollow down the steps. The steam train passing was an added bonus. We absolutely loved it, and so did our son! Thanks very much for helping to make it a fantastic weekend. We will definitely be back, thanks again!! We had a great time just hanging out in the woods and kids enjoyed seeing the trains. Guys you had running it were super helpful and welcoming. We will be back. We really enjoyed our stay thank you. It was lovely to slow down and take in nature. The hosts were lovely and helpful and our son enjoyed playing with their son. We had a first rate time – everything was spot on. We thought the facilities were great, we loved the location and the warden was hugely welcoming and very very helpful. It was a birthday gift for my partner so I’m very grateful for your making it such an enjoyable stay. Just wanted to say what a lovely time we all had at the camp site this weekend! It is SUCH a beautiful place – the surroundings, the tents, the whole set up – absolutely perfect! The wardens were also completely wonderful and so attentive and knowledgeable. And their little boy was adorable! We all had the most amazing time, enjoyed beautiful walks, lots of camp fires – we couldn’t have asked for anything more!